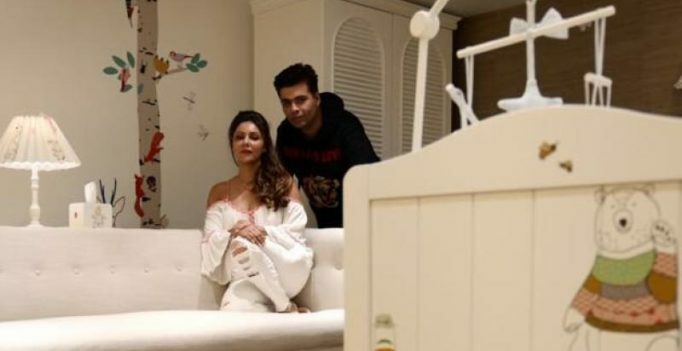 Gauri Khan designs nursery for Karan Johar’s babies and it’s too adorable! The picture that Karan shared on Twitter. Mumbai: Karan Johar was snapped on Wednesday with his babies, Yash and Roohi, when he took them home for the first time after seven weeks in the neonatal intensive care unit of the hospital. However, we could not get a proper glimpse of the babies at that time. 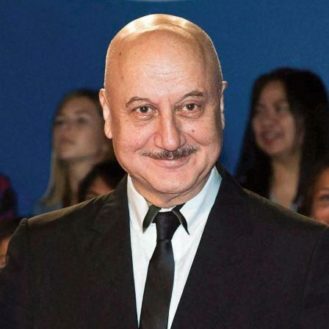 The filmmaker is yet to share any pictures of the babies and had also trashed some of the pictures of them that were going viral. While Karan might be reluctant to share pictures of them so soon, he shared a picture of the nursery set up for his kids. The nursery is designed by Gauri Khan, Karan’s close friend, interior designer and wife of Shah Rukh Khan. The filmmaker took to Twitter to share a picture of the nursery, with the two of them posing for the camera. There is no doubt that Yash and Roohi are going to love the walls decked with images of birds and animals and other objects of attraction specially created for them. Recently, Gauri had also shared a heartfelt, handwritten letter written by Ranbir Kapoor thanking her for designing his new house. No doubt that celebrities are loving the work that Gauri is doing!